In making the choice to go au naturel, I am removing pesticide products from my dog's life, one step at a time. I am taking a change-oriented approach to this life enhancing journey toward healthy living for my dog Valentino. I feel each step we take together on this dog walk is essential for the health and wellness of my boy. Dog walking in the woods with Valentino. While this is the route I am choosing to take for my dog, I do not recommend you do the same unless you first consult your veterinarian. Let your vet know your concerns about using chemical products for your dogs and discuss the benefits of using only natural products for your pets. We currently live in a rural area along the coast of the Gulf of Mexico in the Florida Panhandle. The region is highly wooded and bug-bearing wildlife is abundant. Our first steps are geared toward disease-carrying nasty critters: fleas, ticks, and mosquitoes, along with worms and parasites. We do have natural choices for the prevention and treatment of infestations and diseases passed on to my dog from these bugs! 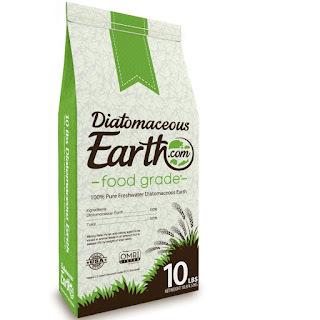 Step 1: To combat infestation in the home we now use Diatomaceous Earth throughout the home and yard. (DE is made from freshwater marine organisms.) We use only 100 percent FOOD GRADE DE for the health and safety of dogs as well as humans. In fact, I recently began adding a teaspoon of DE to my dog's breakfast, in hopes of attacking the parasites from the inside out. Note: My dog Valentino (recently adopted from my local animal shelter) was diagnosed with heart worms and is currently undergoing monthly preventative treatment as prescribed by his veterinarian. However, it is my greatest hope that DE may help in treating this disease so that one day soon I can eliminate the prescribed medication, as I feel it is pure poison. Step 2: After our daily walks in the neighborhood, never mind hikes in the forest, I was pulling several ticks per day off of my dog and myself -- until I found the natural cure for that bug! 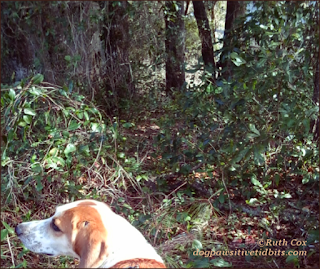 In my research online to find a natural repellent for ticks I found that many use essential oils to repel ticks. I have been using Red Geranium tick repellent essential oils for seven months now and no longer find ticks on my dog or on me. For us, it truly has been a healthy choice in the prevention of tick-borne disease. Step 3: Flea control is a serious issue here in our neck of the woods. 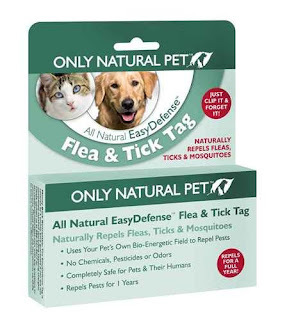 However, I am no longer buying and applying chemical topical solutions for flea and tick control, which did not seem to work for the fleas or ticks anyway. never mind the possibility of ill side effects to which my dog was being exposed. 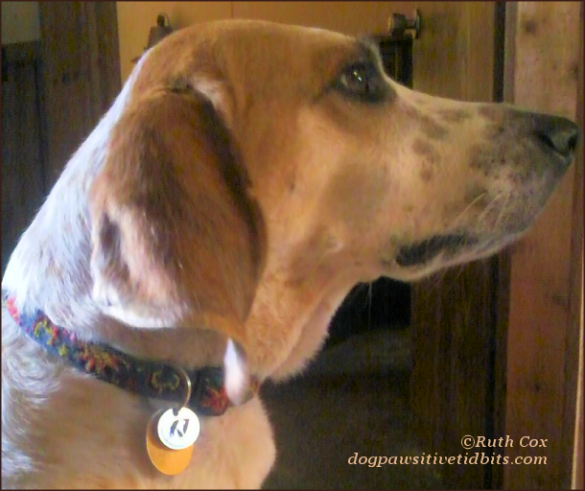 My dog Valentino wears his Only Natural Pet dog tag to repel bugs—Naturally! As of this week, Valentino now wears his Only Natural Pet All Natural EasyDefense Flea & Tick Dog Tag! This tiny metal tag works off of my dog's own bio-energy to repel pesky fleas, ticks, and mosquitoes. I am convinced this holistic approach is the way for my dog to live a long and healthy life and will be taking further steps to that end. My dog is going au naturel, one step at a time! How do you deal with bugs that attack your dogs or other pets?